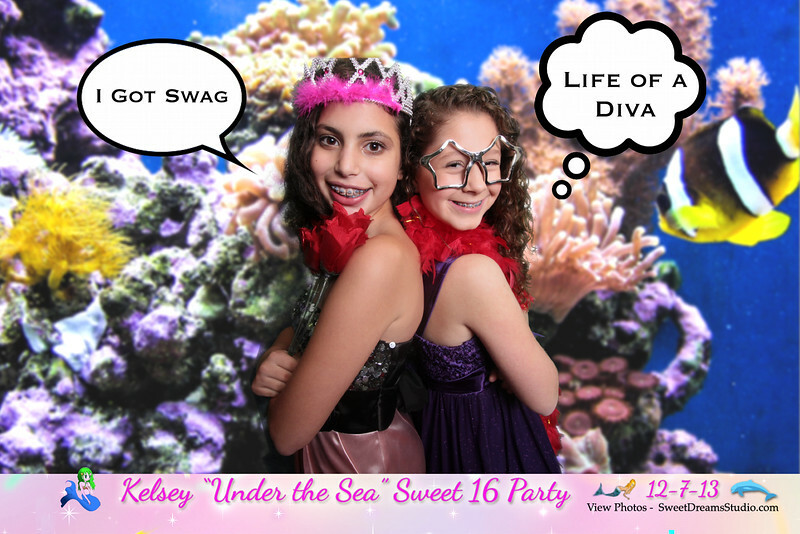 Awesome Photo Booth print design for Kelsey's Sweet 16 Birthday Party at Hilton Garden Inn New Jersey. Sweet Dreams is excited to be providing the event photography as well as the photo booth rental entertainment. The theme of Kelsey's birthday party is Under the Sea so we used exotic deep sea background. We can also add customizable speech bubbles to make the photo booth pictures and prints more fun and hilarious. Sweet Dreams Studio provides fabulous award-winning wedding and event photography and unique open air photo booth rental for the best party entertainment in New Jersey and New York City. We also photograph Sweet 16s, birthdays, bar and bat mitzvahs, bacholerette parties, baby showers, corporate and holiday parties. This is where magic happens.